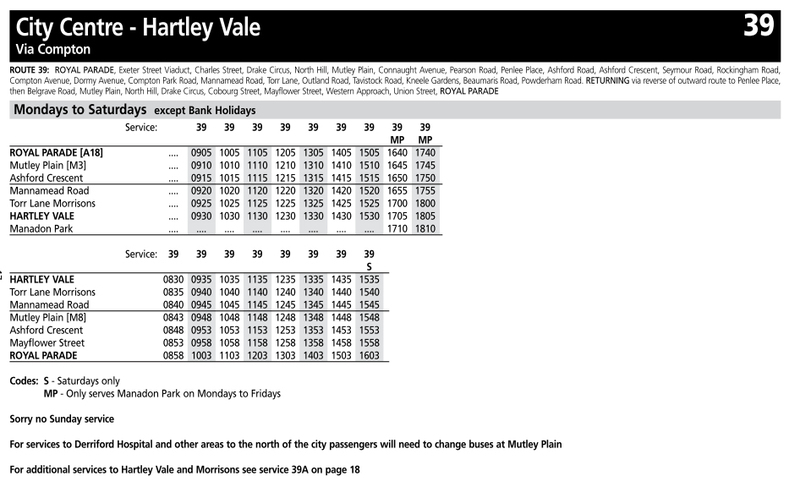 Service 39 sees quite a few changes. The old service has been split up with the Derriford and Looseleigh section now covered by the 14 and the Southway section covered by Taxibus 227. 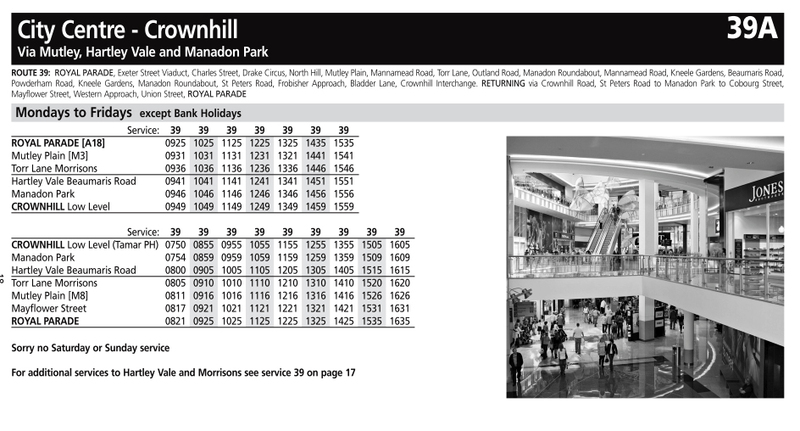 The remaining route is now spilt into 39 and 39A routes each run hourly Monday to Fridays. On Saturdays just the 39 runs although here are a couple of extra runs late afternoon.